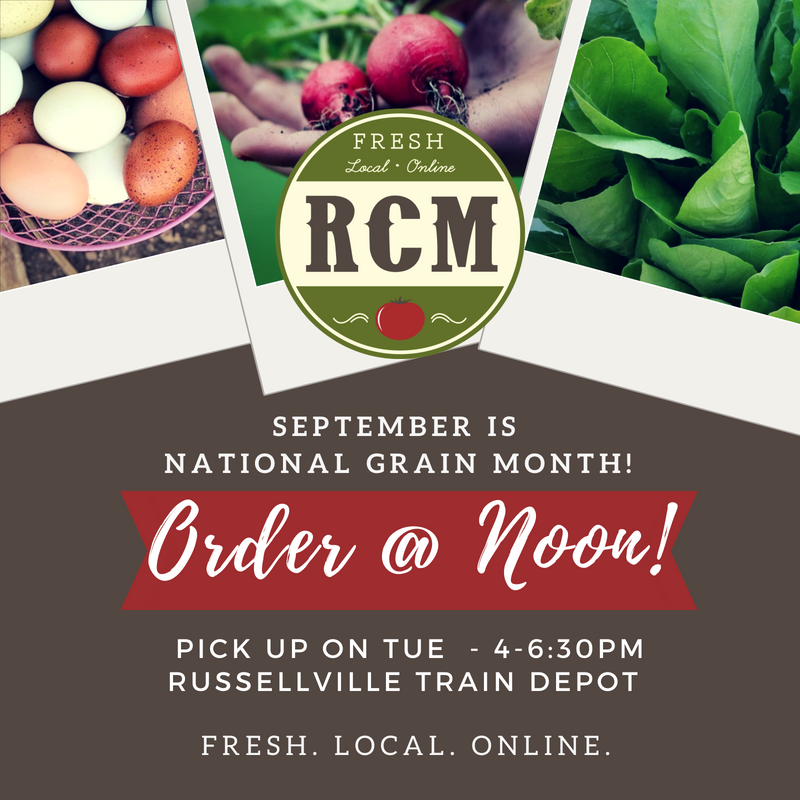 Celebrate National Grain Month with Arkansas Grown Rice from Ralston Family Farms! Customer Notice- During our board meeting this week, RCM approved the decision to update market policy so that both customers and vendors are participating equally in our online food system. Starting this week, the market charges will be 10% for farmers and 10% for customers. This update will not only allow equal participation on both sides of the market, but will help to fund operating expenses for our year-round market. Questions or comments may be sent to russellvillecommunitymarket@gmail.com. 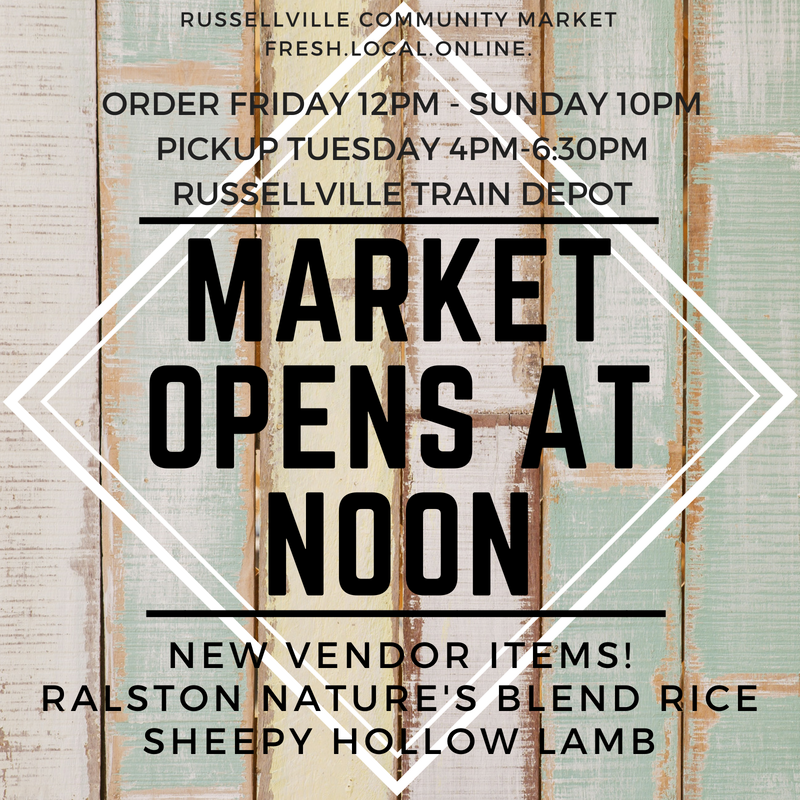 Thank you for supporting local food and craft products in Russellville and the Arkansas River Valley! 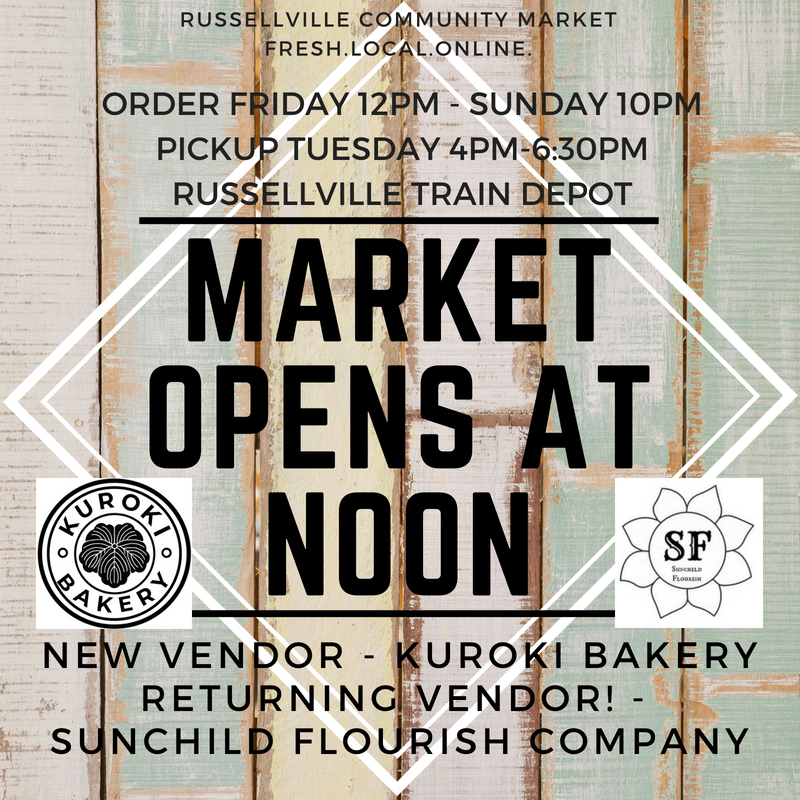 Market Opens at Noon! New and Returning Vendors! Market Opens at Noon - New Items from Vendors - National Farmers Market Week Continues! There’s still time to participate and order this week! Ralston Family Farms has Nature’s Blend, Golden Rice, and Variety Packs Available! Sheepy Hollow has a new batch of Ground Lamb and Lamb Steaks!